Since its foundation in 2004, the Uros Pavlovcic Ski Racing camp in Switzerland has earned itself reputation through its huge success. Besides excellent training at one of the best resorts for summer skiing, it also offers a great cultural experience for all its athletes. I strongly believe that great results can be achieved when an athlete can combine a good attitude with skiing. My camp serves two main purposes. First, I would like to offer all participating athletes summer training that is incomparable to any camp in America. Second, my camp should help them to gain the sort of attitude to be successful. I believe that Saas Fee is the perfect venue for my summer camp. The cultural experience that goes along with my summer camp is extraordinary. All attendants get to travel and experience new places. Combined with daily gate training, dryland and afternoon activities we try to create a unique time that keeps the athletes’ attitude up, and most importantly makes fun. Saas Fee’s strong racing spirit is something that every racer should experience. The athletes should be internally driven to push themselves during every run and they have to understand how much it takes to make it in the ski racing world. Saas Fee serves as a home for many incredible skiers. Each and every one of them should serve as a reminder that it takes hard work and dedication to make it to the top. Last, my coaching staff is committed in providing as much individual care as possible. With a coach-athlete ratio of 1 to 6-8, I attempt to establish a training atmosphere that benefits everyone. My pace setters for the camp are excellent college racers that serve as great example for proper ski technique, and as role models when it comes to having the a positive attitude. Uros Pavlovcic competed for the Slovenian National team from 1987-1994 and then from 1999-2003. In the last four years with the Slovenian Team, he had many outstanding accomplishments. Those include eight top 15 finishes in the World Cup series. He represented Slovenia at the World Championships in 2001 which where held in St. Anton and in the Winter Olympic Games in Salt Lake City in 2002. 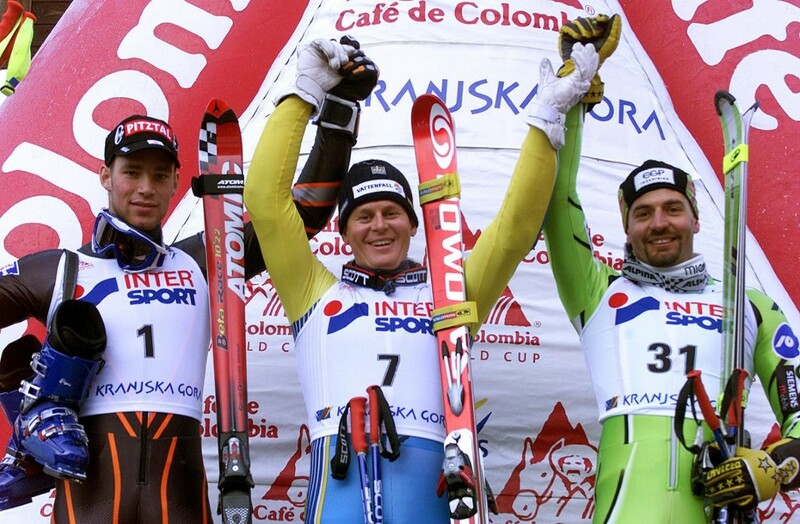 He finished third at the World Cup race in Kranjska Gora in 2001. From 1995-1999 Uros was a student athlete at Sierra Nevada College. During his college years in the United States he competed at domestic competition against the U.S. Ski Team members many times. He earned three medals at the U.S. National Championships, won giant slalom at World University Games in Korea, was United States Collegiate Ski Association individual champion all 4 years, and had four victories at Continental Cup events. After his active racing career Uros first coached Boise State University NCAA ski team in 2003 and worked as a head coach for Bogus Basin Ski Education Foundation for the following two years. In 2006 he joins Buck Hill Ski Racing Club, where he has established himself as a key figure, and continues to push its members beyond its boundaries. He has been coaching for Erich Sailer’s prominent Mount Hood Summer Camps since 1997. 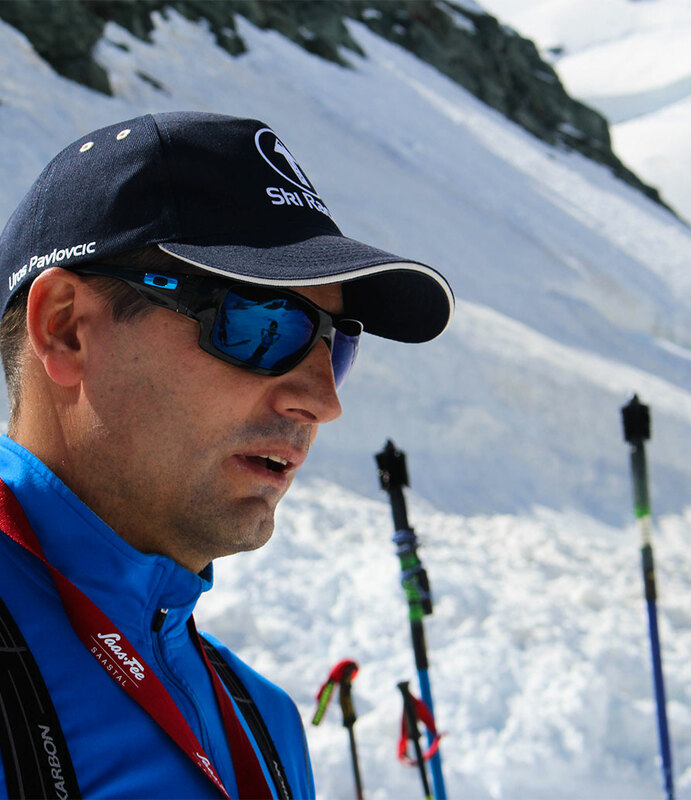 Uros started the UP Ski racing Summer Camp in 2004.